Denture teeth sometimes chip or crack or even fall out. What Is Involved In Denture Repair? Repairing broken dentures can be accomplished with varying degrees of difficulty depending on the severity of the breakage. Cracked dentures where a clean break has occurred can be bonded back together in approximately one hour. A denture tooth that has come out can also be bonded back into place. Denture repair acrylic is used in these situations. However, if the broken denture is in several pieces, or if some pieces of the broken denture are missing, then the broken denture repair becomes substantially more difficult, if not impossible, and a new denture may be required. 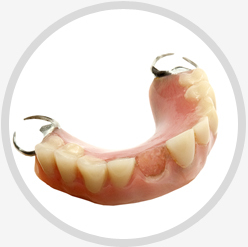 Many simple denture repairs can be performed at the dental office while other complicated repairs of broken dentures must be sent to a dental laboratory. Can The Patient Repair The Broken Denture? 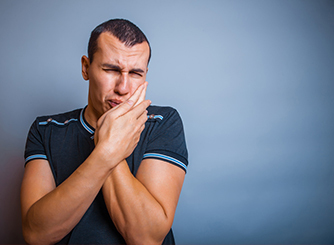 It is best to visit a dentist or denturist for any assessment of the breakage. However, while there are denture repair kits, the success from the patient using these kits is limited and often makes further repairs difficult. 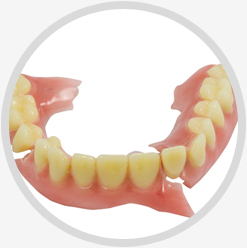 It is very difficult for most patients to approximate the edges of the broken denture back to how they might have been originally in order to fit it back properly.